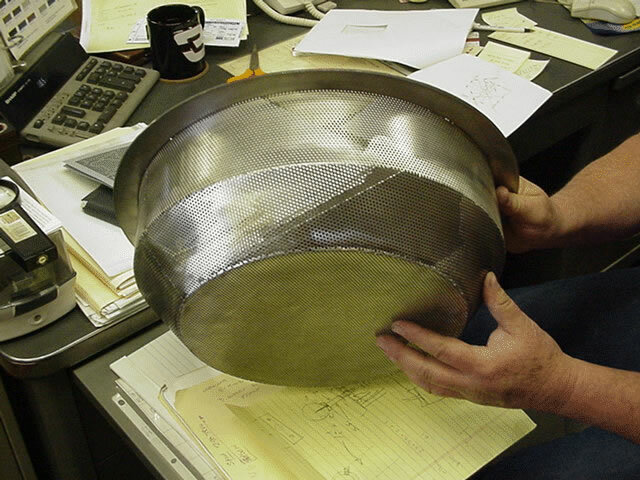 The custom fabrication department of Carlson Sheet Metal Works Inc. encompasses a wide range of specialty items. 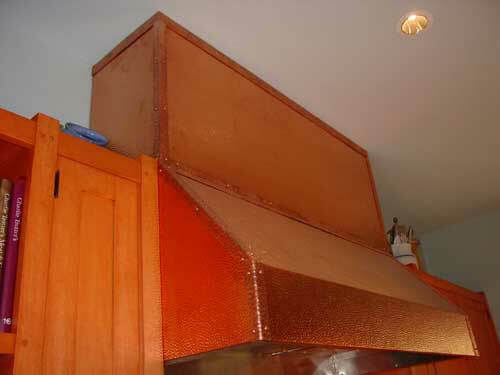 Kitchen hoods and countertops made out of stainless steel or copper. Custom rain gutters fabricated and installed on homes. 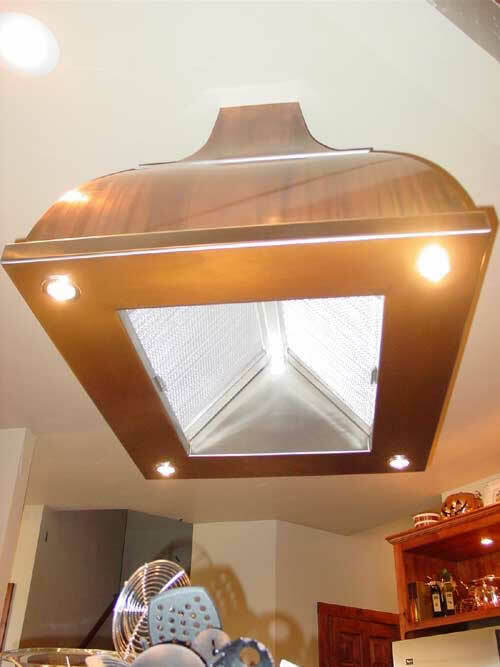 Other special items include: planter boxes, chase tops, flashing, fascia trims, down spouts, fireplace surrounds, hand railings, louvers, metal cornices, HVAC systems and many others. Please do not hesitate to call us at (509) 535-4228 or with questions or for more information about what we can do for you. Custom stainless steel noodle strainer made for a Spokane area restaurant. See, we can make anything! 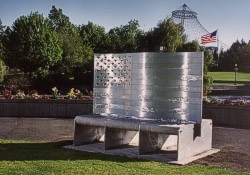 AIA Spokane, City of Spokane, Spokane City Park Board, and the Inland Northwest Chapter of Associated General Contractors extends it gratitude to Carlson Sheet Metal Works for your outstanding support and participation in the enhancement of our city parks. Stainless Steel Birdhouse fabricated from 20 gauge stainless steel, number four finish. 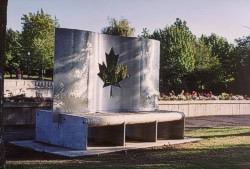 The steel was plasma cut in one piece and spot welded together. A beautiful, stylish accent for any deck or yard. 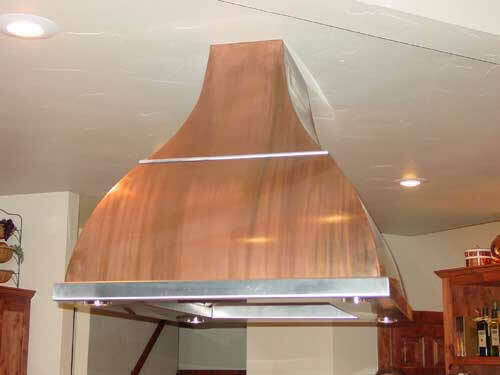 36 oz.Copper kitchen Hood, Stainless Steel Hood Liner, Halogen Puck Lights, Private resident. 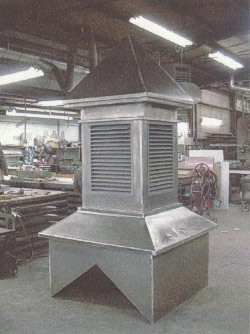 12-gauge cold rolled steel cupola with 18 gauge cold rolled steel louvers over 10-foot tall and 48-inch square. 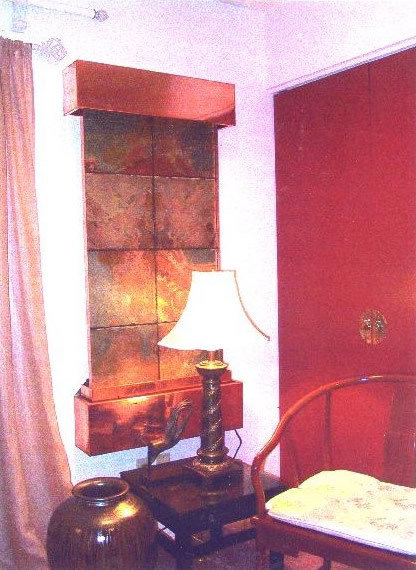 Copper water fall fabricated from 24 ounce copper sheet. Water flows into water tight pans. 20 oz. 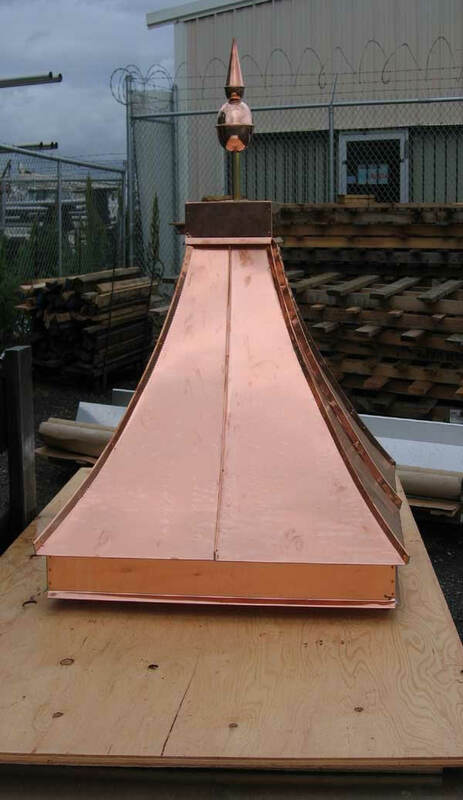 Copper top for post standing seam construction.